Our Xperitas Community Partnership (CP) Team Leaders oversee many aspects of their programs. Team Leaders facilitate trip logistics, assure capable leadership for team reflection and experiential learning, and serve as the primary person responsible for ensuring positive relationships and interactions between Xperias guests and the partner community on our cultural immersion programs. To ensure our Team Leaders are well-trained, our CP staff and Team Leader Development Comittee plan and execute periodic training sessions and inservices for our current Team Leaders and Team Leaders in Training. 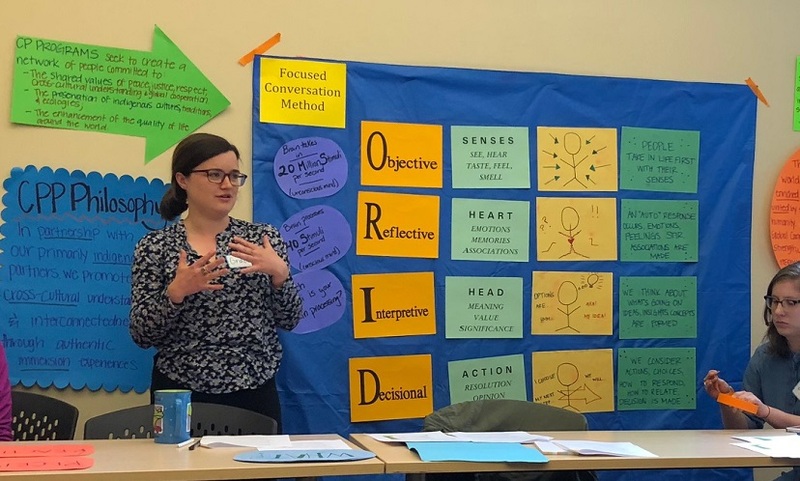 On May 12, our volunteer attendees were introduced to the ORID Focused Conversation Method by Grace Janssen, Emilia Kaczynski,Tyrel Nelson, Rita Johnson, Katie Balk and Jan Smith as part of the ongoing Team Leader development process. The ORID method uses a designated facilitator to guide a group through four levels of questioning, with each level building on the understanding gained from the previous levels. After reviewing the role of an ORID facilitator, our Leaders and Leaders in Training were able to practice the ORID method using specific examples of situations they might encounter while leading an Xperitas cultural exchange program. So, what does ORID stand for? Tyrel Nelson, Rita Johnson, Katie Balk and Jan Smith of our Team Leader Development Committee. 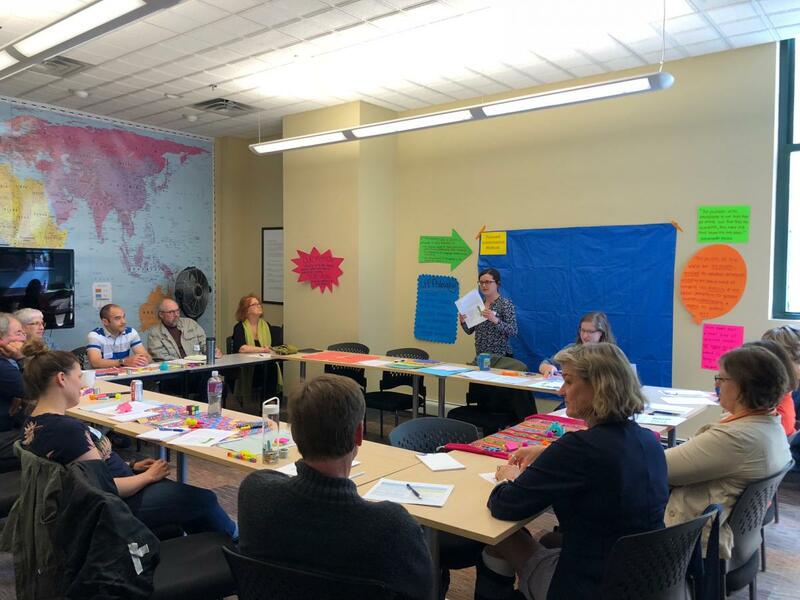 We are proud and thankful for the Xperitas staff, and dedicated volunteers, who spent a beautiful spring Saturday at the office with us to sharpen their cross-cultural facilitation skills. We are currently enrolling applicants for our 2018 Team Leader Training Program, which will take place September 7 - 9, 2018, in Camp St. Croix, Wisconsin. For more information on our Team Leader Training program and complete details on how to apply to become a team leader, please visit our Team Leader Training webpage.